252 percent growth rate driven by innovative cybersecurity and anti-fraud services that go beyond traditional defenses to fight back against cybercrime threats. CHARLESTON, SC – Nov. 16, 2016 – PhishLabs, the leading provider of 24/7 cybersecurity services that protect against the exploitation of people, today announced the company has been ranked 301 in Deloitte’s 2016 Technology Fast 500™. The company’s 252 percent revenue growth from 2012 to 2015 places PhishLabs among the fastest-growing technology companies in North America. Phishing is the top cyber threat faced by organizations. Cybercriminal, hacktivist, and nation-state threat actors use phishing as an entry-point to steal credentials and install malware. Most major breaches, including those involving the Democratic National Committee and multiple U.S. government agencies, were initiated with phishing attacks. 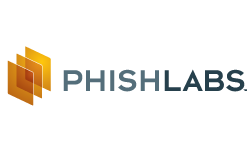 Delivering a comprehensive range of services that protect employees, networks, and account holders from phishing attacks, PhishLabs is positioned well to help organizations fight back and reduce their greatest area of risk. PhishLabs services combine proprietary technology, human expertise, and global threat intelligence to stop cybercrime attacks before they impact client organizations. In 2015, PhishLabs analyzed more than one million confirmed malicious phishing attacks. The company currently investigates and mitigates more than 9,000 phishing attacks every month, identifying the underlying infrastructure used in these attacks and shutting them down. Founded in 2008 and headquartered in Charleston, South Carolina, USA, PhishLabs provides 24/7 cybersecurity and threat intelligence services that help organizations fight back against attacks targeting their employees and customers. PhishLabs is trusted by four of the top five U.S. financial institutions, seven of the top 25 global financial institutions, leading social media and career sites, and top healthcare, retail, insurance and technology companies. In addition to mitigating more than 9,000 phishing attacks per month, PhishLabs clients benefit from real-world actionable intelligence, analysis, and guidance from the PhishLabs R.A.I.D. research division, which is comprised of some of the world’s most respected malware researchers, reverse engineers, and threat analysts focused on monitoring global attack trends, dissecting cyber tradecraft, and tracking cybercrime. For more information, visit https://www.phishlabs.com and follow @phishlabs. To be eligible for Technology Fast 500 recognition, companies must own proprietary intellectual property or technology that is sold to customers in products that contribute to a majority of the company’s operating revenues. Companies must have base-year operating revenues of at least $50,000 USD, and current-year operating revenues of at least $5 million USD. Additionally, companies must be in business for a minimum of four years and be headquartered within North America.